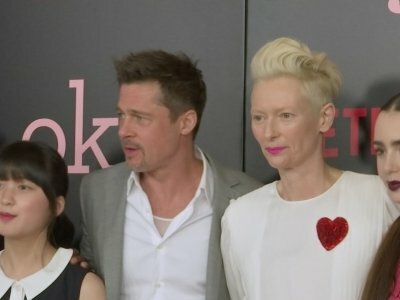 LOS ANGELES (AP) — The diversity crisis in Hollywood may rage on, but the Academy of Motion Picture Arts and Sciences continues to try to open up access to the entertainment business for people from underrepresented communities and give some a foot in the door at the most critical moment — when college graduation is in sight and the job market is looming. Kaya Scodelario will play Ted Bundy's ex-wife Carole Ann Boone in 'Extremely Wicked, Shockingly Evil and Vile'. The 25-year-old actress - best known for play Effie in 'Skins' - has joined the likes of Zac Efron, who will play the notorious American serial killer, and Lily Collins, who has been cast as Bundy's long-term girlfriend Elizabeth Kloepfer. Bundy had an ongoing relationship with Boone which lasted through his 1979 trial, which resulted in the serial killer's death sentence. John Malkovich has joined the cast of the Ted Bundy movie 'Extremely Wicked, Shockingly Evil and Vile'. The 'Being John Malkovich' star - who has twice been nominated for a Best Supporting Actor Oscar, for 'Places in the Heart' in 1984 and 'In The Line Of Fire' in 1993 - will play Judge Edward Cowart, who presided over the serial killer's trial in Florida and sentenced him to death in 1979, Deadline reports. LOS ANGELES (AP) — The romantic coming-of-age film "Call Me By Your Name" has a leading six Film Independent Spirit Award nominations, followed by Jordan Peele's satirical horror "Get Out" and the Robert Pattinson thriller "Good Time" with five nominations each. Actresses Tessa Thompson and Lily Collins announced the nominees for the 33rd installment of the awards show Tuesday. 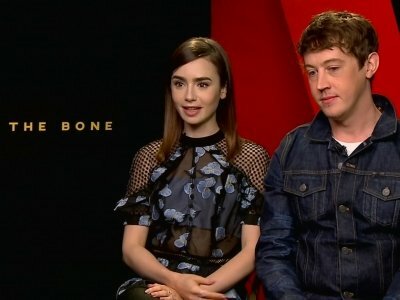 Lily Collins says 'To the Bone' represented a "form of recovery" from her eating disorder. The 28-year-old actress developed anorexia and bulimia during her teenage years, and has admitted she's benefited from the experience of playing a 20-year-old anorexic girl called Ellen in the new Marti Noxon-directed movie. She shared: "It was a new form of recovery for me. I got to experience it as my character, Ellen, but also as Lily. Phil Collins is "doing good" following his recent hospitalization. The 66-year-old musician - who has spent the last 10 years in semi-retirement due to a dislocated vertebrae in his neck before making his return to the live music scene this year - fell and hit his head on a chair as he walked to the toilet in his hotel room earlier this week and, after having stitches on a gash on his forehead, was kept in hospital under observation. Lily Collins’ ‘struggle’ to be perfect. Lily Collins felt the "struggle" to be perfect. The 28-year-old actress admits it was difficult growing up in the spotlight but says most of her worries were "put on by herself". Lily Collins is grateful to Warren Beatty for setting her off on a path of "weird" work choices. The 28-year-old star's most recent outing was in the Warren directed 'Rules Don't Apply' in which she appears as aspiring actress Marla Mabrey alongside the 80-year-old screen legend who plays the reclusive and eccentric businessman Howard Hughes in the romantic comedy drama. Lily Collins is in "complete shock" after receiving a letter from Michelle Obama. The 'To the Bone' actress sent a copy of her memoir 'Unfiltered: No Shame, No Regrets, Just Me' to the former First Lady and was elated to get a note thanking her for the book and promising to share it with her daughters Malia 18, and Sasha, 15. Lily Collins' parents influence her love life. The 'Love, Rosie' star has confessed that her mother and father, Jill Tavelman and Phil Collins, have an influence on who she decides to date. Speaking during an appearance on The Talk, she said: "I find that I'm really attracted to mysterious creatives, and I love people that are able to put their emotions out there for not just the world to see, but just that are giving of their emotions, but a little bit mysterious and elusive as well. Bella Heathcote has got engaged to her long-term partner Andrew Dominik. The 'Fifty Shades Darker' actress showed off her diamond ring in a selfie with showbiz pals Phoebe Tonkin and Lily Collins on Sunday (19.03.17) and a representative for the 29-year-old beauty has since confirmed to PEOPLE magazine that the 49-year-old screenwriter popped the question. Alongside the picture of the three actresses, Bella wrote: "thanks for being born @lilyjcollins @phoebejtonkin (sic)"
The actress daughter of Phil Collins has forgiven him in her new book of essays. In "Unfiltered," Lily Collins writes she forgives her father for "not always being there" when she needed and for "not being the dad" she expected. She adds they can't "rewrite the past" and it's not too late for them "to move forward." Phil Collins and Lily Collins' mother, Jill Tavelman, divorced in 1996, when Lily Collins was 7 years old. The pinks had it Sunday on the Golden Globes red carpet, from Ryan Michelle Bathe on the arm of hubby Sterling K. Brown to a stunning Lily Collins in princessy Zuhair Murad, hair up in a loose, dramatic bun. Collins' couture gown was a light shade with a floral design. She went with her first choice to go with Harry Winston jewels. "I love this color. 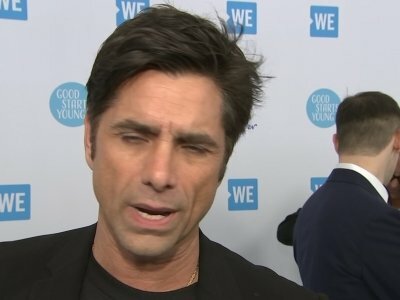 It's fun, it's fresh, it's great," Collins told E! Entertainment from Beverly Hills, California. LOS ANGELES — For Lily Collins, who stars in “Rules Don’t Apply” opposite legendary Holly­wood icon Warren Beat­ty and a host of famous faces­, what was cooler — being there for this once-in-a-lifetime happening or the movie itself? “They’re both really exciting, to be honest with you, but I think it was more me taking it in as Lily, being on a set with everybody,” she answered. "Rules Don't Apply" feels unbalanced in terms of story, and it has a big sag in the middle. But the good things in it are so good that they make this movie a fairly worthwhile experience. Written and directed by Warren Beatty, the film benefits from Beatty's memory of the era depicted, the late 1950s and early '60s, as well as his fidelity to it. That's a strong virtue, and it pervades much of "Rules Don't Apply," including the actors chosen and every detail of the film's look. “Rules Don’t Apply” feels unbalanced in terms of story, and it has a big sag in the middle. But the good things in it are so good, they make it a fairly worthwhile experience. Written and directed by Warren Beatty, the movie benefits from Beatty’s memory of the era depicted, the late 1950s and early ‘60s, as well as his fidelity to it. That’s a strong virtue, and it pervades much of “Rules Don’t Apply,” including the actors chosen and every detail of the film’s look. NEW YORK (AP) — Warren Beatty is standing outside an early screening of his new film, "Rules Don't Apply" — definitely NOT a Howard Hughes biopic, he wants to make clear — discussing his connection to the famously reclusive industrialist and movie mogul. "I never met him," he says, grinning. "And I met everybody."